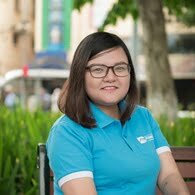 Arrive in Yangon and meet your local friendly guide to welcome you and transfer to hotel. Afternoon, a city tour includes the National Museum, Kyaukhtatgyi Pagoda’s 70m long reclining Buddha. 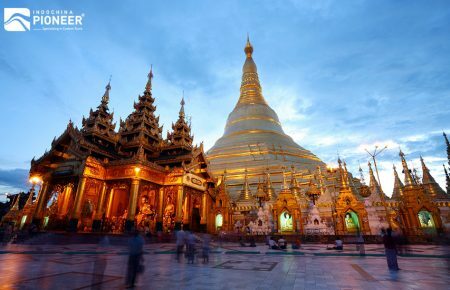 Visits continue to Myanmar’s holiest monument, the Shwedagon Pagoda with its golden stupa covered with 60 tons of pure gold leaf. Local night market visit before transfer to the hotel. Early breakfast( take away box) at the hotel transfer to Yangon’s Mingaladon Airport for the flight to Bagan (Nyaung Oo). 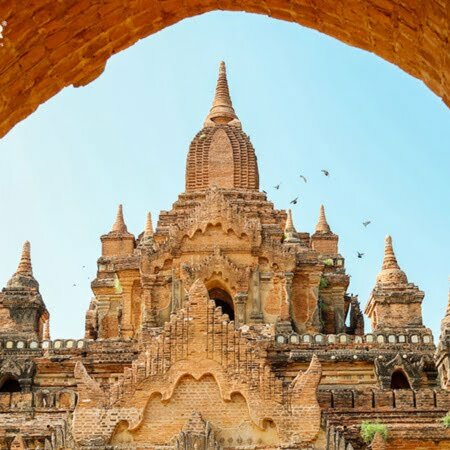 Thousands of ancient stupas and temples in this area make Bagan, one of the most remarkable archaeological sites in Asia. 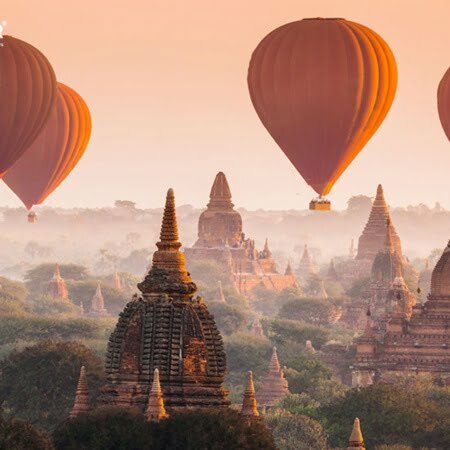 From the 11th till 13th century, when Bagan was the capital of Myanmar, the rulers constructed huge stupas and temples, many of which are still standing today on the banks of the Irrawaddy River. On arrival, morning sightseeing features the colourful Nyaung Oo Market, the Shwezigon Pagoda and its magnificent golden stupa, Wetkyi–In Gubyaukgyi, a cave temple with exquisite jatakas murals paintings and the elegant Htilominlo Temple noted for its fine plaster carvings and glazed sandstone decorations. 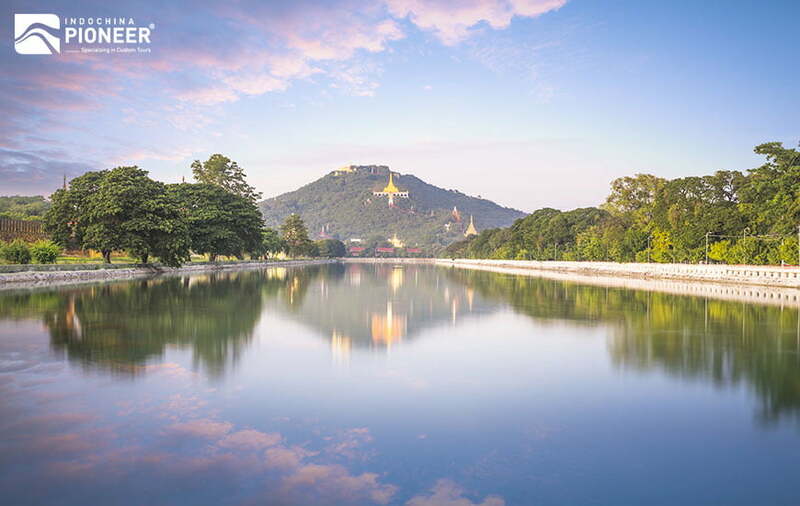 In the afternoon, visit Ananda, an architectural masterpiece of the early–style temple with two original standing Buddha images show facial expression change depending on the distance the statue is viewed from. 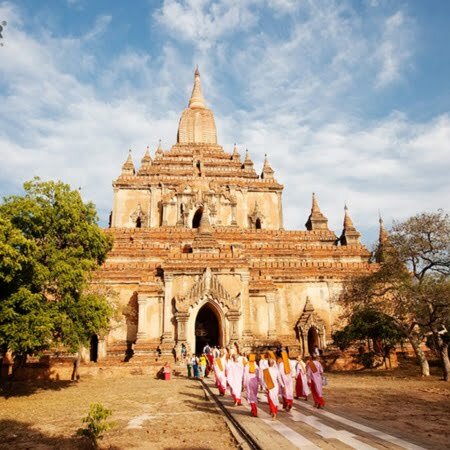 The Ananda Okkyaung is one of the few surviving brick monasteries from the early Bagan period and the next temple to be visited, Thatbyinnyu, is the highest in Bagan, rising to 61 meters. End the day with a horse and carriage tour among the temples passing by the traditional village of Taungbi, Sulamani Temple and the massive Dhammayangyi Temple noted for its remarkable brickwork. 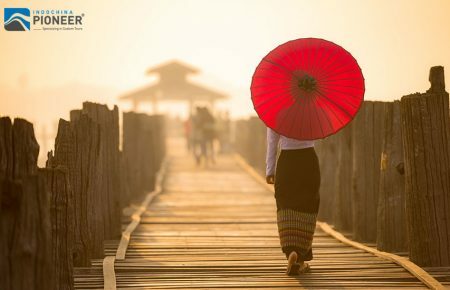 Then enjoy the sunset on the mighty Irrawaddy Rover by slow private cruise. 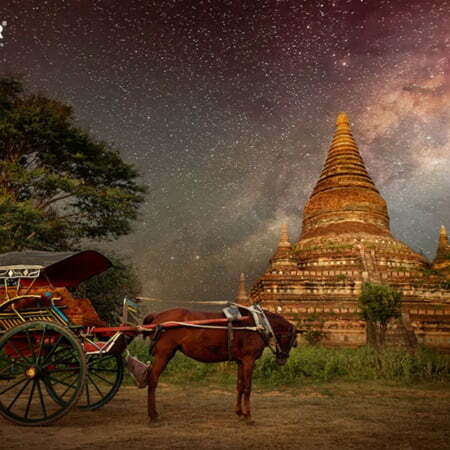 End the day with a horse and carriage tour among the temples passing by the traditional village of Taungbi, Sulamani Temple and the massive Dhammayangyi Temple noted for its remarkable brickwork. 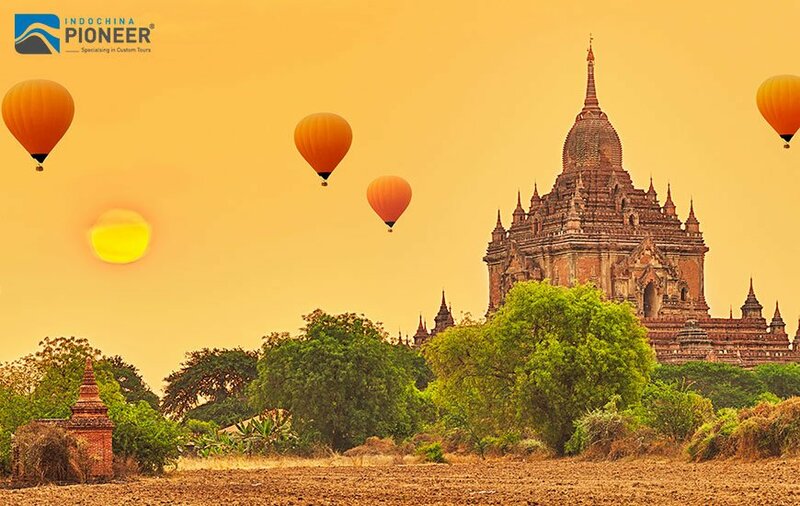 Enjoy the sunset on the mighty Irrawaddy Rover by slow private cruise. After breakfast at hotel, 8:00 am take the private air–conditioned car to Airport for the flight to Mandalay. 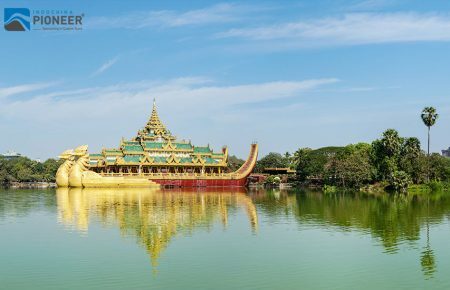 On arrival, a sightseeing tour of Mandalay, Myanmar’s cultural capital, features Mahamuni Pagoda, famous for its venerable statue of Buddha covered with gold leaf. 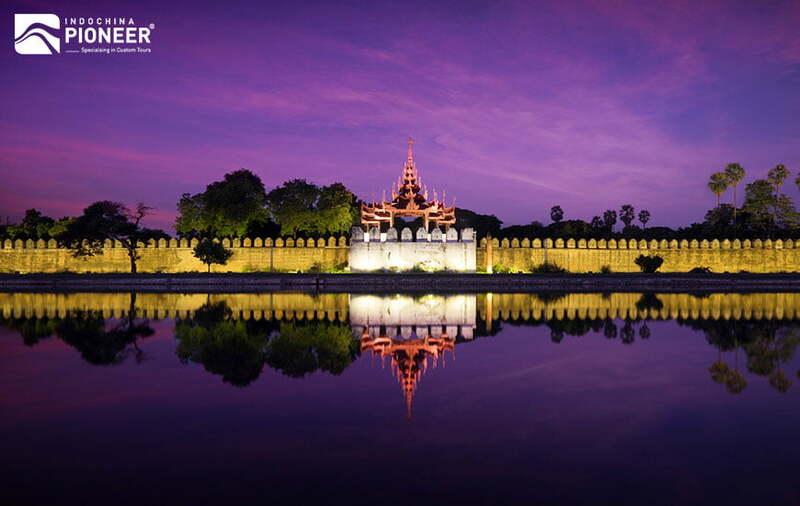 Mandalay has long been known as a centre of skilled craftsmanship and in former times supplied the Royal courts. 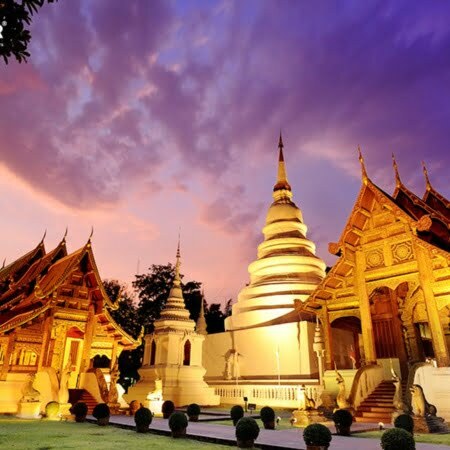 A tour of traditional workshops includes crafts such as woodcarving, marble masonry, Kalaga tapestry and gold leaf making. 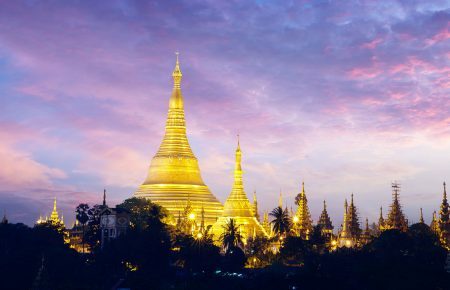 After lunch visit the Kuthodaw Pagoda with its 729 marble stone slabs of Buddhist scriptures (known as the world’s biggest book) and Shwenandaw Monastery, noted for its exquisite woodcarving. 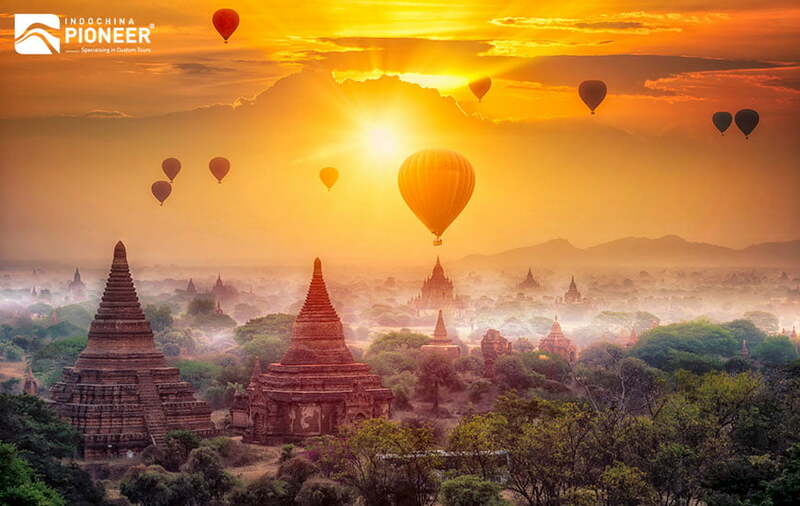 Enjoy the sunset from Mandalay Hill. 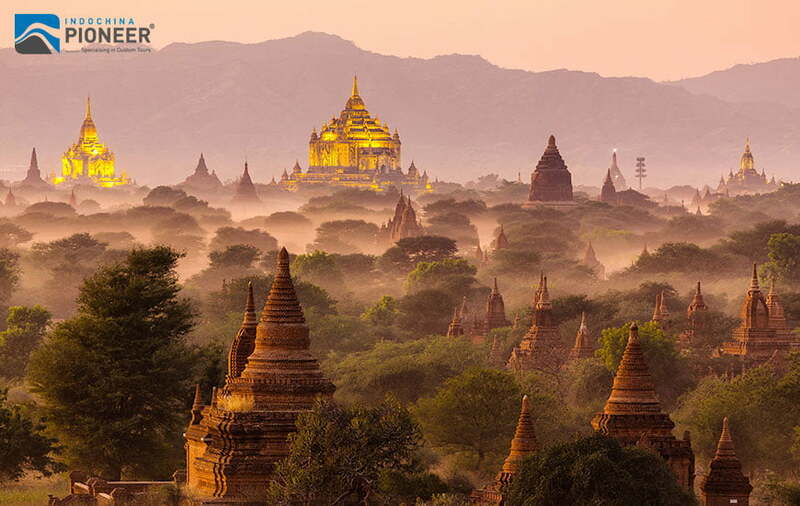 After breakfast at the hotel depart for full day trip to the former capitals of Amarapura, Ava and Sagaing. The day begins with a visit to the 18th century capital, Amarapura. 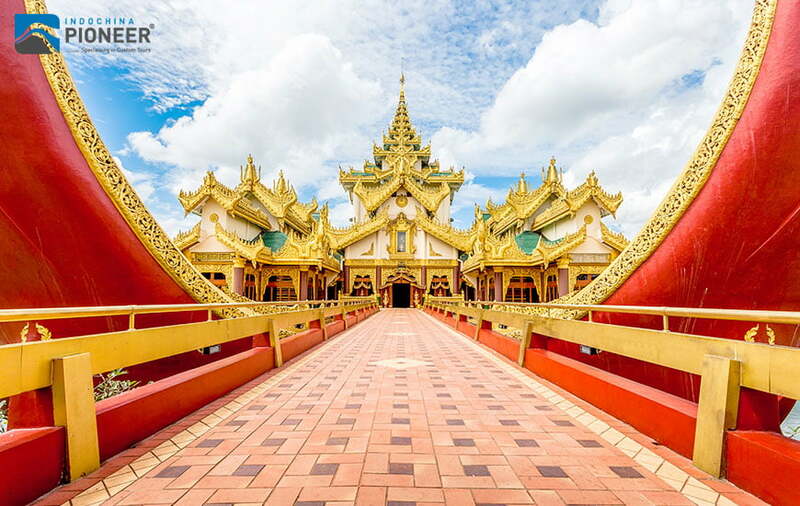 Attend the daily meal of over thousand monks at the country’s largest monastery; Mahagandayon. 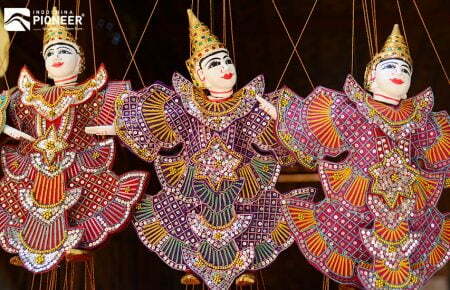 Visit a silk weaving workshop, the craft speciality of Amarapura. Proceed to Ava, the capital from 14th to 18th centuries and visit by horse and carriage the old wooden Bagaya Monastery and the remains of the Royal Palace and fort. 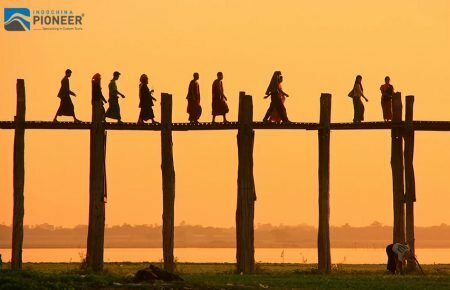 In the afternoon cross the bridge over the Irrawaddy River and continue to Sagaing. 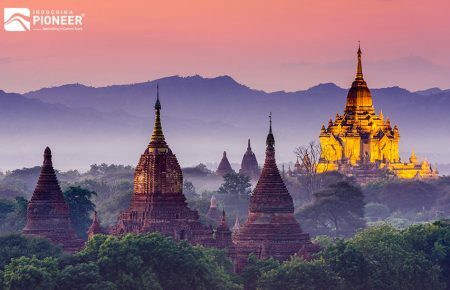 Covered with 600 white–painted pagodas and monasteries, Sagaing Hill is widely regarded as the religious centre of Myanmar and is home to 3,000 monks and 100 meditation centres. 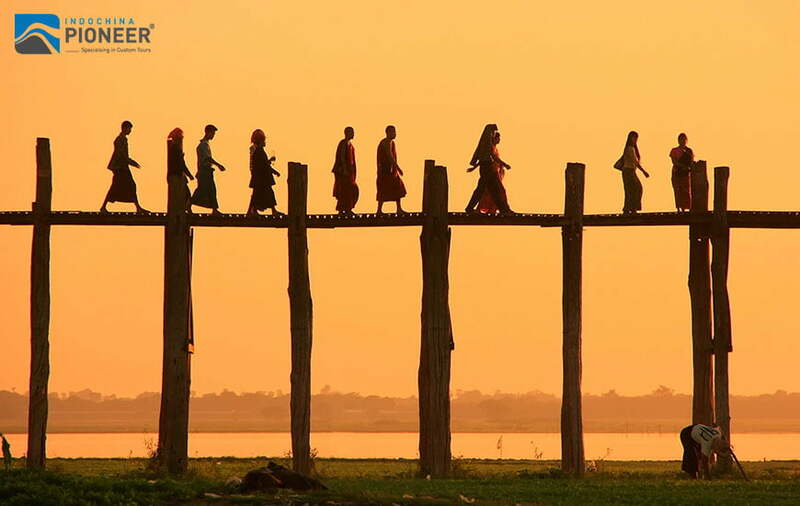 Finish the day with a walk at sunset over the 200 year–old U Bein bridge, constructed entirely from teak. 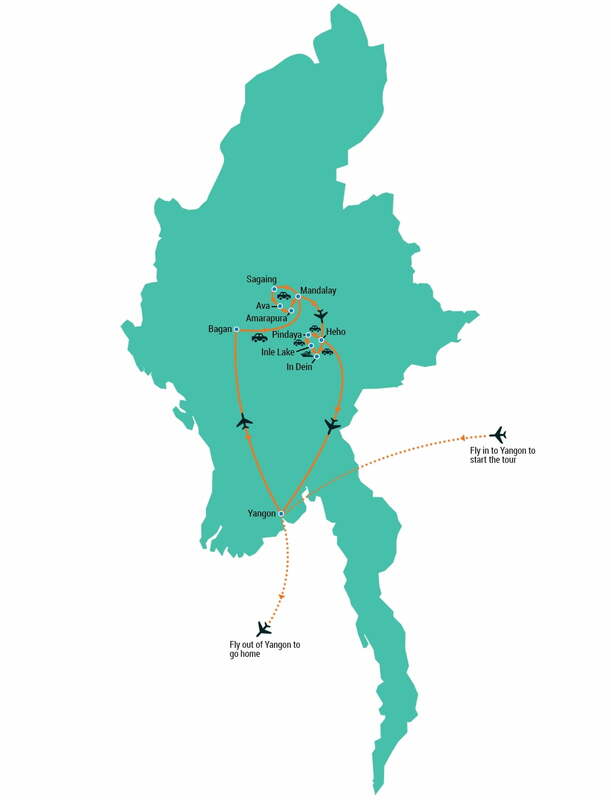 Transfer to the airport for domestic flight to Heho in Shan State. Continue by car and enjoy a scenic drive to Pindaya through the picturesque countryside of Shan State. 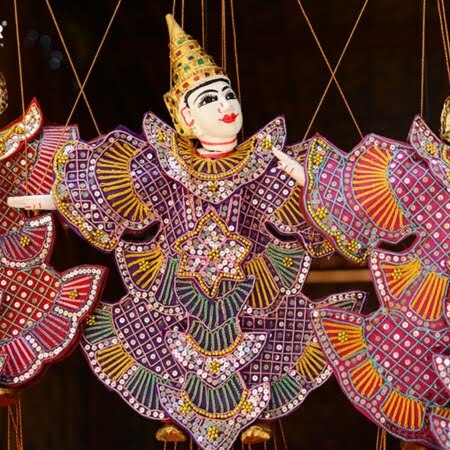 Visit Pindaya’s limestone cave with its maze of chambers displaying more than 8,000 Buddha statues and local handicraft workshops producing Shan Paper made from mulberry bark and traditional umbrellas made from the same paper that are used by monks all around the country. 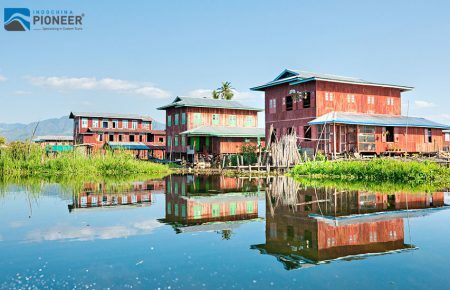 Continue the trip to Inle Lake, one of Myanmar’s best–known sights. 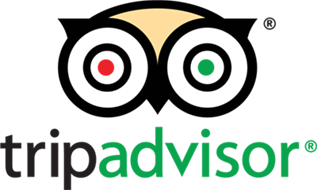 The Intha people, a tribe of Mon descent, mostly inhabit the lakeshores and floating villages. On arrival at Nyaung Shwe Village, check in at hotel (for hotel with lake location, transfer by boat). After breakfast at the hotel, enjoy a scenic drive to Inle Lake, `one of Myanmar best–known sights. 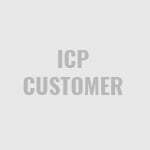 The Intha people, a tribe of Mon descent, mostly inhabit the lakeshores and floating villages. Start visit the famous floating market, five days rhythm by villages except full moon & moonless day. 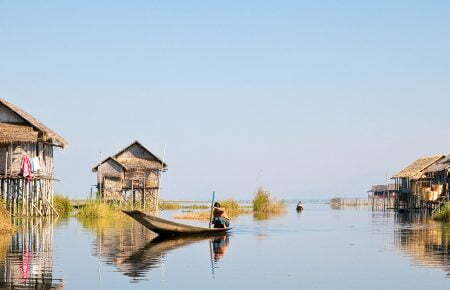 A sightseeing tour of Inle Lake including a chance to see the leg–rowing fishermen. 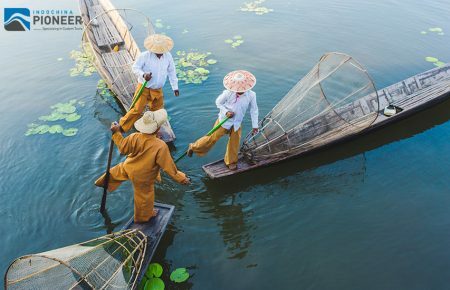 Continue to see the floating gardens, built up from strips of water hyacinth and mud and anchored to the bottom with bamboo poles. 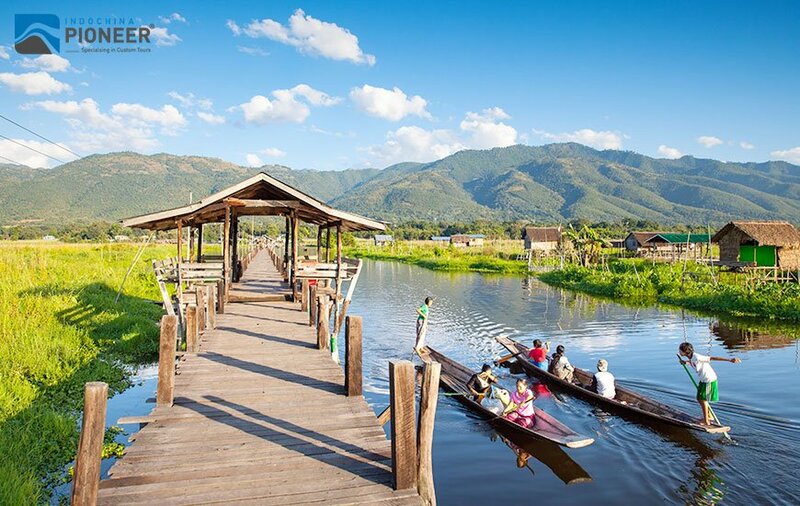 There are also floating villages like Ywama, the lake’s downtown, where a floating market is held every five days. In the afternoon continue visit to Phaung Daw Oo Pagoda, the weaving village of Inpawkhon and the jumping cat monastery. After breakfast, visit In Dein in the south of the lake by motorboat. 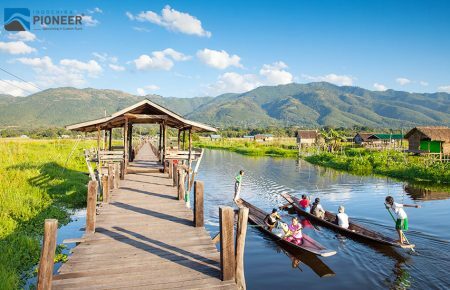 From the middle of the lake, continue down a small canal leading to the village of In Dein, a recently opened area in Shan State. After a walk around the village, passing a local school, take the covered stairway to the beautiful Alaung Sitthou area where ancient stupas are partly covered by vegetation. From here there is a magnificent view over the lake. In the afternoon, transfer to Heho Airport for the flight back to Yangon. 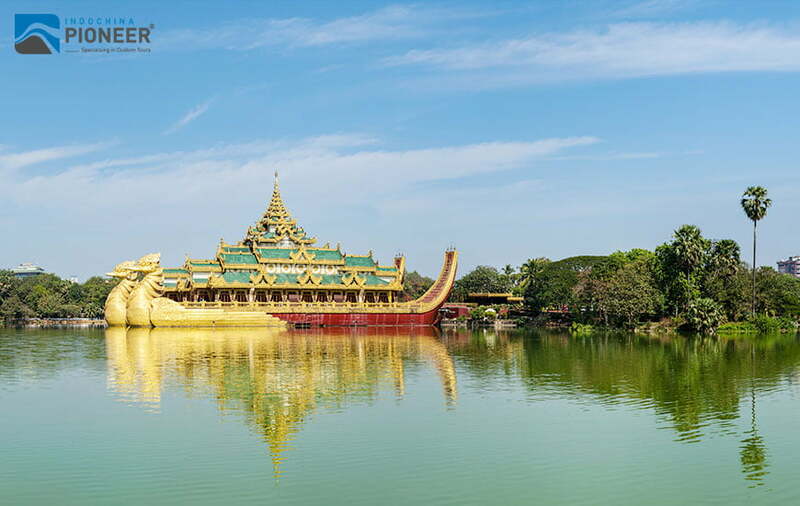 After breakfast finish the tour with a visit to downtown Yangon with its faded colonial atmosphere, Sule Pagoda, Mahabandoola Park, India town and bustling Chinatown. 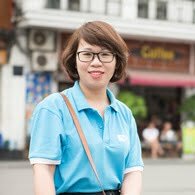 In the afternoon there is free time for shopping at Bogyoke Market, formerly Scott’s Market before transferring to Mingaladon Airport for onward flight.